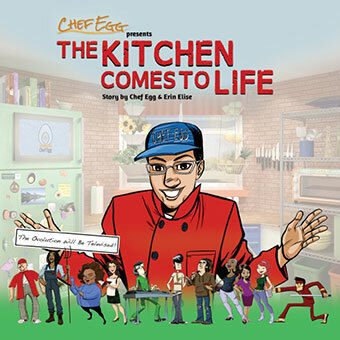 "Chef Egg's Cooking Eggsperience" teaches culinary chops and nutrition know-how to first-time cooks and young chefs using music, humor, and live-action kitchen characters. Chef Egg empowers the whole family to prepare totally tasty meals and snacks complete with classic cooking skills and kitchen safety tips. The show's unique style of production is a vibrant, fast-paced take on culinary programming. Chef Egg is a trained culinary technician with a dynamic personality and passion for teaching and entertaining. He brings the perfect blend of technical skills, stage presence, and one-of-a-kind personality to grab viewers' attention and make his message memorable. Chef Egg is a professionally trained chef, culinary instructor and host of Chef Egg's Cooking Eggsperience and Chef Egg Live/Hands On Chef Egg - interactive cooking programs. His mission is to free everyone from a boxed, frozen and fast food prison by teaching you how to really get cooking! Not just show you a recipe, but also give you the details you need to claim your culinary independence. From the grocery store to the kitchen table, you'll learn the basics of how to prepare, cook and serve simple and tasty meals. Egg brings a high level of energy and passion to his teaching. His infectious sense of humor, and natural way of interacting with people, allows him to instantly connect with a wide range of audiences. 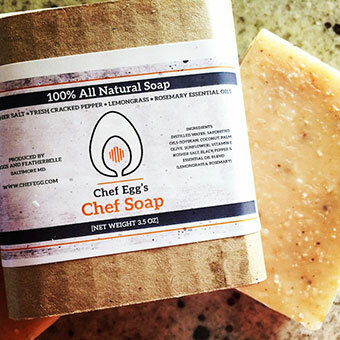 Chef Egg's wants to educate, entertain and inspire. He really wants people of all ages to learn from his teaching, and he uses his off-beat humor as a way of keeping their attention, and to promote learning in a fun and engaging manner. With a rare blend of formal culinary training, real-world experience, and a street-wise sense of humor, Chef Egg has found a niche that allows him to stand out in a sea of cooking shows, viral videos, and amateur foodie blogs. So, he's not just going to teach you how to cook with eggs? Chef Egg can whip up a pretty good omelet, but that's not where he got the name. It's actually a childhood nickname that was hung on him by neighborhood friends. During the summer, all of the kids in the neighborhood would go up to the pool. During a lazy day of swimming, the bigger kids would often toss the little ones into the air to make cannonballs. Egg, being the smallest one of all, would curl up in a ball for the big splash. All the kids said he looked just like an egg. So, the name stuck and the rest is history! Chef Egg is currently working on projects, including Chef Egg's Cooking Eggsperience, his web shows Chef Egg Eats Baltimore and promoting his illustrated children's book, The Kitchen Comes To Life. He enjoys working with local non-profit organizations to spread healthy eating education to those in need. Egg spent his professional career spearheading culinary community outreach at Whole Foods Market, Mid Atlantic. Recently, Chef Egg has been working with the US military and the Wounded Warrior Project, teaching classes to wounded veterans and caregivers at Walter Reed Hospital and at overseas bases with Armed Forces Entertainment and Navy Resilience programs. 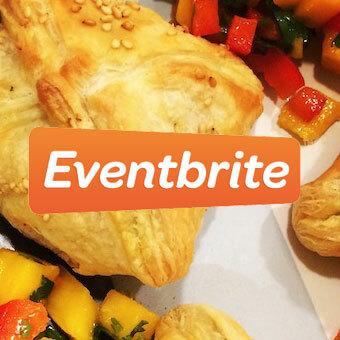 Chef Egg can be found travelling to colleges and universities throughout the country teaching students how to cook and at corporate/private events and conferences. He is also a regular guest on Baltimore's WBAL TV and 98 Rock's morning show. Chef Egg has also appeared nationally with Emeril Lagasse on Emeril Green and on the Food Network program Rewrapped.